The name KONDWA means BE HAPPY in Nyanja, one of the local languages widely spoken in Lusaka, the capital of Zambia. 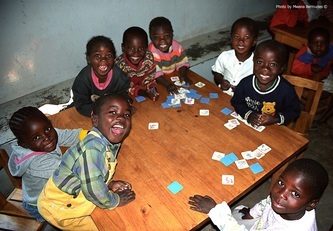 And this is the goal of the Centre: to bring happiness into the lives of the orphaned children who live in one of the most deprived areas of Lusaka. The Ng’ombe Compound, one of the highest density neighbourhoods of the capital, has a high rate of unemployment and poverty, and the many social/economic hardships have worsened by the spread of HIV/AIDS. “Kondwa is a light in the dark, a stepping stone from despair to hope”, as founder Angela Malik puts it in a few words. 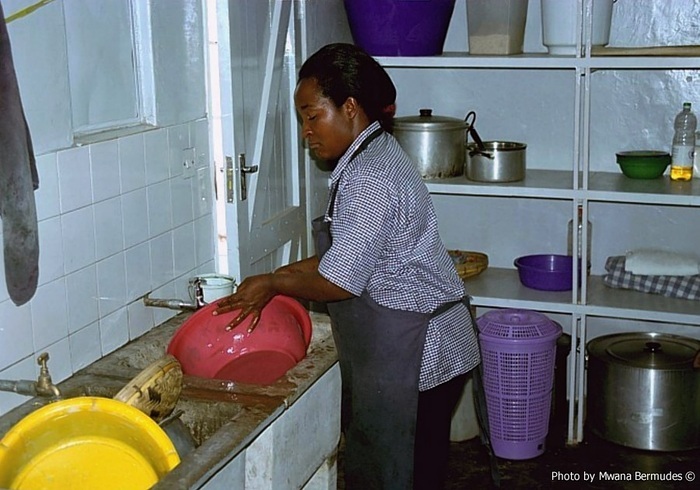 The Centre, founded in 2000, arose from the need to care for orpaned children identified by the Roma/Ng’ombe Community Home Based Care Program, a community based volunteer program caring for the chronically ill in their homes. The founder and administrator of the Centre, Angela Malik, is a trained psychosocial councelor specialised in orphans management, and a very active volunteer of the Home Based Care Program. Many of the patients being cared for under this program have died and continue to die, consequently leaving behind orphans, whose numbers continue to grow at an alarming rate. It was this urgent need to care for these orphaned children that led to setting up the Kondwa Centre for orphans. Currently there are over 60 children attending school daily at the Centre. They come to the Centre from Monday to Friday, between 7:30 and 14:00, where they receive pre-school education, two nourishing meals, recreational facilities and most importantly the care takers’ love and attention. The Centre also attends to the children’s medical needs, as a doctor comes weekly to examine them, often providing medication. Kondwa has also facilitated access to formal education of many children, and continue to support their ongoing education. It has also succeed in placing many other children into residential orphanages. The main funding for the ablution building originated from Angela's several local and international friends. 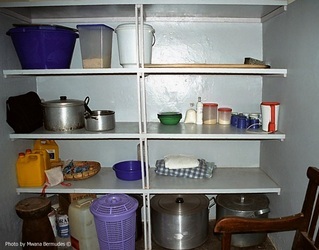 The rehabilitation of the Centre's kitchen was financed by our friends of the J.Kirby Simon Trust. Our friends Jeffrey and Marylin Keating from the USA provided most of the books for the Centre's library and Judy Meeker of Quilts for Peace provided over 10 hand made quilts to be used at Kondwa's sick bay. Various other friends such as Cynthia Nystrom and Heather Donovan sent plenty of used clothing, toys and other school supplies. A big "Thanks" to everybody for all the contributions! After years of volunteer work with the Kondwa Day Centre for Orphans, Angela Malik and colleagues decided to expand their program for orphaned children. Her view is pragmatic as she well knows it is practically impossible for someone to take care of all the orphaned children and their needs. However, she strongly felt that if a few of us could help a handful of these children by providing them at least with shelter and food, together they could make a difference. With the financial assistance of several donors, Angela and colleagues purchased a small piece of land and built a transit home for some of the most needy children in Ng’ombe community. It is called SEKO Home. The need is overwhelming, and as much as they would like to help a lot of children, they believe in quality rather than quantity. There are many young girls living on the streets. They need a safe stable environment to have quality of life. Thus the number of girls staying at SEKO Home at any one time will be no more than 10, between the ages of 7 and 14. During their stay they have been placed in local schools as well. The Home has a House Mother to provide guidance, love and support. During the first meeting with Angela about the Seko Home project, Mwana Bermudes took the usual role of project coordinator and technical site inspector. kanimambo Creations also assisted with fund raising for the project, and as a result substantial financial originated from Plenty Canada, J.Kirby Simon Trust (USA) and from Switzerland. The construction of an ablution building containing two flush toilets and two shower units was proposed. 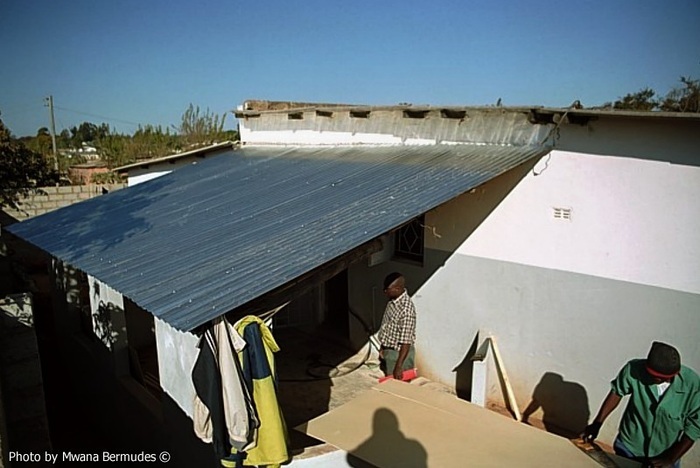 This basic structure was built of concrete blocks, standing on a concrete slab, galvanized iron roof and included a septic tank as waste disposal. The back up water system was also part of the proposed work including a water reservoir mounted on a steel tower inside the home premises. The construction of the Seko Home was completed within schedule and we were all very satisfied working with the entire team especially their enthusiasm and professional manner. We have enjoyed immensely supporting Angela with another great project and we at Kanimambo Creations are very grateful to be part again of this exemplary community development project in Zambia. The 10 young ladies who are currently living in the Seko Home under the supervision of the house Mother, are now continuing their academic studies in safety and proper care, this being the main purpose of this outstanding community project. And of course Angela Malik's new "dream" has again come true! 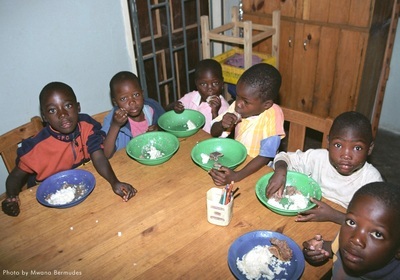 The Mother Teresa’s Missionaries of Charity have established a Centre in Lusaka, Zambia, that provides an orphanage, school, and hospice care for the poorest of the poor. The orphanage currently houses over 180 orphans. Because the majority of these children have been orphaned by AIDS, a steady increase in this population can be expected. The hospice consists of three separate sections – male, female, and children and is also experiencing a steady increase in the patient population. They are carried to the hospice by family members on buses, bicycles, ox-carts and in wheelbarrows. Family members are either unable or unwilling (while AIDS is usually not admitted, it still carries a stigma with it) to provide care for these patients. The school provides education for over 400 children -- resident orphans and local compound children. The compound children, without the Missionaries of Charity, would have no hope for any type of education. 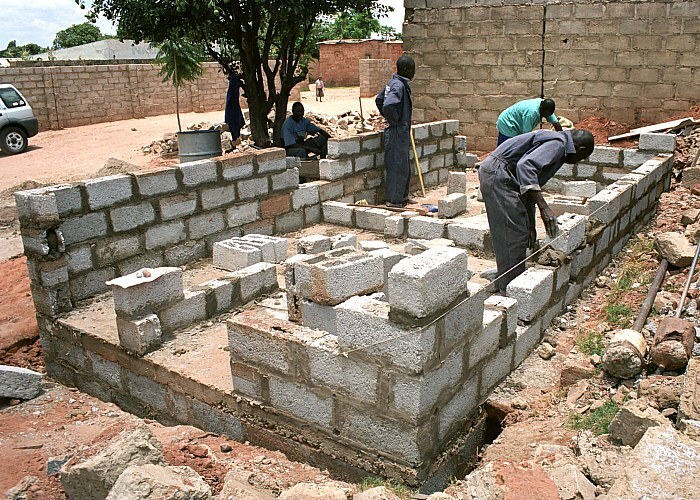 After my first site visit to the Missionaries of Charity’s project, Kanimambo Creations focused our fund raising efforts for an immediate improvement in the sanitation area of the orphanage. 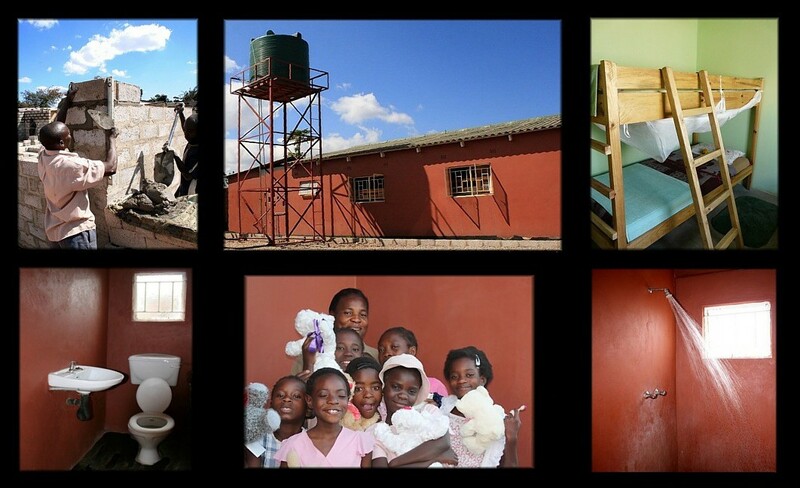 As the number of existing toilet facilities for the children’s dormitory was rather limited, we decided on the construction of a basic annex building containing two flush toilets and hand washing basins, thus immediately improving the sanitation standards. Kanimambo Creations is very grateful to the J. Kirby Simon Foreign Trust (USA) for its kind financial assistance towards such important program in Zambia, as HIV/AIDS spreads all over Africa leaving behind millions of orphans. The Heal Project is essentially a group of people living with HIV/AIDS who are working together to help themselves and others to a better life, including many orphans. They support income generation schemes, a community centre and a school for children whose parents have passed away, or who are sick and cannot afford to take care of them. Their activities include arts and crafts, trading and gardening. Project members undertake AIDS and TB education and awareness activities. 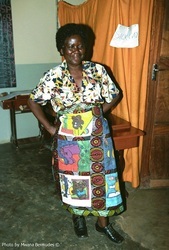 The Heal project was founded by Jeannie Mulenga in 1999, in Lusaka, Zambia. 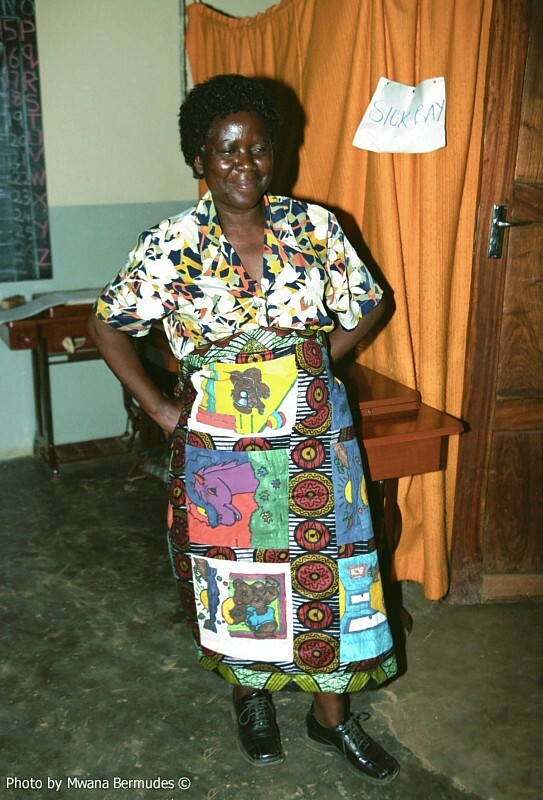 Jeannie was tested HIV+ in 1995, contracted from her husband who has died a few years ago, leaving her with three young children to care for. 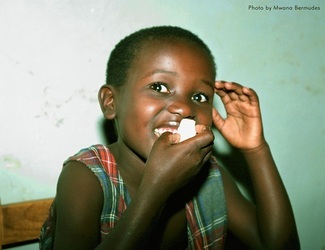 In 2002, as a result of the infection, TB developed in her weak body and she faced a lot of hardships dealing with discrimination as she was isolated from feeling ashamed of her health status. Furthermore her children were thrown out of school because she couldn’t afford to pay their fees. 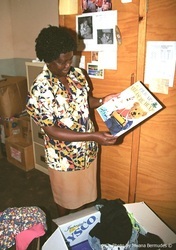 However, while living on the streets, she was blessed by meeting Dr. Helen who immediately started treating Jeannie for TB. Through Dr. Helen’s compassionate assistance her quality of health and life improved considerably and she even started a small business which soon it enable her to pay the house rent and even sending her children back to school. Jeannie felt that there was a need to extend support she had received from Dr. Helen to other HIV+ people who were going through a similar situation, and consequently she started the Heal Project. With more people becoming aware of the project, the group began to diversify in other ways to provide families with an income generating activity such as papier-mâché and carvings. Creations were sold at local markets, from where they found people with fantastic talents in Banana leaf artwork, Painting, etc. As a result, a deep freezer was purchased and the group started running a stall in the city market where cold drinks and fish were sold. The Project currently supports children including adolescents who have been orphaned by TB-HIV/AIDS, and those who have been made vulnerable because their parents are terminally ill with TB and other AIDS related illness. The parents are no longer able to provide for the family forcing the children to stop going to school. Several children are now being provided with access to school and nutritional foods at a community centre on the outskirts of Lusaka funded by the Heal Project. With the financial assistance of various friends in Zambia and overseas, the Project has managed to build classrooms, latrines, a kitchen, a vegetable garden and also a source of clean water. 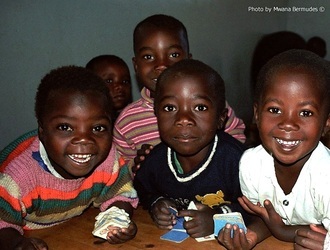 350 children attend their school daily with 5 class teachers, including arts and sports. One of their drama groups has won prizes in local contests!